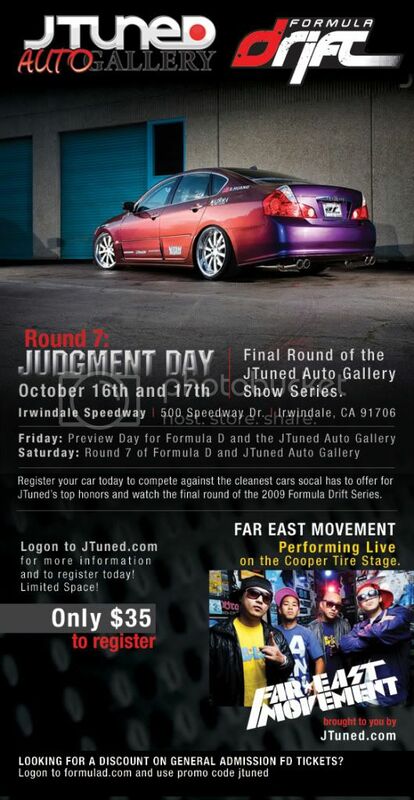 Final Round of the Jtuned Auto Gallery Car Show will be held at Round 7: Judgment Day at the Toyota Speedway at Irwindale on October 16 – 17, 2009. 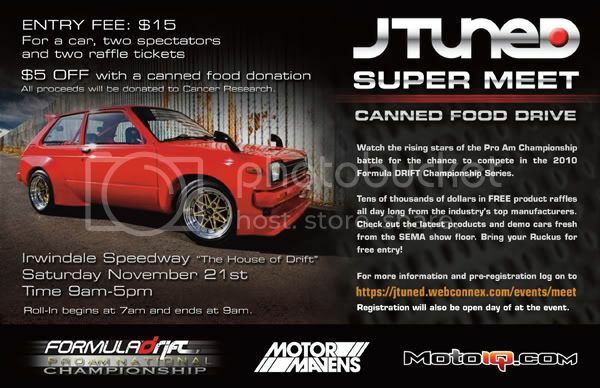 Jtuned will be also featuring Far East Movement with a special performance at the Cooper Tire Stage. 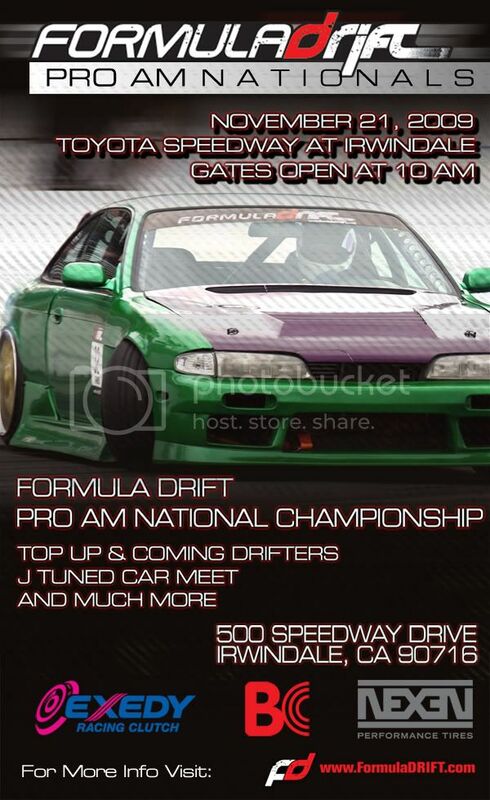 Another reason why you should purchase your tickets for Round 7: Judgment Day at the Toyota Speedway at Irwindale!